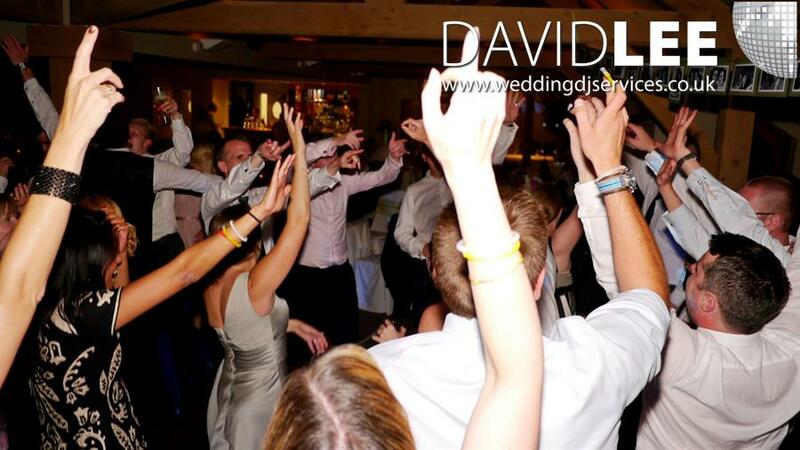 The wedding reception or wedding disco is the part of the day where you finally get to kick back relax and dance the night away with your friends and family. 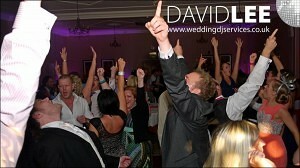 And you can only relax, when you know that your Wedding DJ is in control of the evening. When you know he has your musical likes and dislikes, to make sure you have the best possible end your wedding day. This is where I come in. I offer (as part of my Wedding DJ Service) to meet up for free, before you even book me, to make sure I can cater for your musical tastes. This is then backed up by your online planner account which among other things allows you to build your own playlist. The fact is I have your song requests and musical preferences before I turn up. This allows me to get a feel for what you want before I even arrive, which means there is a greater chance of you having the wedding reception you want. Or warming you up on the inside as I like to say. If you start the party too soon, you may end up wasting good music. I mean you’ve had your ceremony and a lovely meal, and now you and your guests finally get to relax, and find the friends and relatives they’ve been meaning to catch up with all day. If you start at full speed you’re only going to scare everyone to another room or outside. So setting the tone with some toe tapping tunes at your wedding reception is the ideal way to get people ready to party in a short while. First Dance, Second Dance, Last Dance? Making sure I have the all important song for the 1st dance is paramount. But what about the song after? What about your song to kick the night off? What about the last song of the night? All these are important tunes to think about. You may already have specific songs in mind, and if you do then great. But if not, it’s the sort of thing I can discuss at our free consultation. I’ll give you ideas, and examples and then hopefully you’ll realise there is more than one ‘moment’ song at your wedding reception. 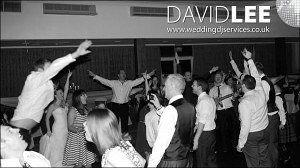 As a Wedding DJ It’s important to get all the music right, from early evening background through to the anthemic end of the night last dance. 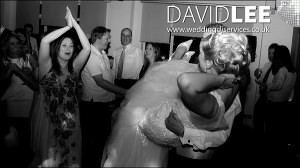 You can give me as little or as much input as you desire, to make sure you get the Wedding Disco you desire. So if you want to leave it in my very experienced capable hands not a problem. If on the other hand you’d like to request most of the music all night, again look no further for your DJ for your wedding reception. More details about my playlist service can be found here. 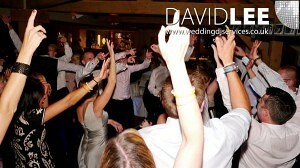 Are you thinking about having a band or wedding singer as well? Then no problem. 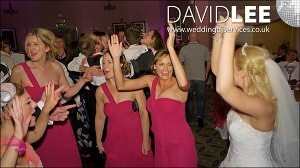 I have worked along side other entertainment many times before at wedding receptions and had no issues. As my main stand is quite small, I can fit and adapt to most spaces. Plus I find bands usually don’t have any disco lights, only light for themselves. So I am happy to for mine to be used during their sets. Same with Ceilidh bands worked along side many times. Never had any problems! As the Wedding Reception DJ I liaise with the venue, photographer and any singers or band. This is because the more I talk and share information, the smoother and better the evening runs, ultimately giving you the night you dreamed of. The last thing you need is unnecessary drama on your wedding day. You want everyone outside for fireworks and photos’ – I’ll announce it. Band can’t find their drummer play another song – No worries. I tailor the Disco set-up to your needs. 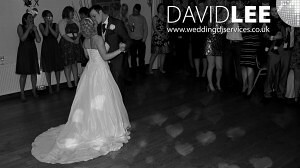 Usually for a wedding reception it’s about filling the dance floor with sound and light, not the room. That way the guests who want to chat (and their will be those that do) can stay in the room, without being blinded by lots of flashing lights or deafened by a wall of sound. But as with all my services, it’s all tailored around you and your desires! Small & Discrete or Large & imposing – Your Day, Your Music, Your Choice. I am a professional wedding DJ. This is what I do. Full Time. I also update Facebook & Google+ quite regularly on Wedding Receptions I do so you can get an idea of how I work, what I do and services I offer. So feel free to like and follow me there for ideas & inspiration.